Ice machines produce three types of ice. Flake, Nugget, and Cube, which all serve different purposes. Cube ice machines are the least expensive and most reliable, but this type of ice isn’t always the best for many businesses. While nugget ice is made in a similar way and is great to chew on, it also doesn’t always serve the same purposes as flake ice. Most people have seen videos of the Pike Place Fish Market in Seattle where the employees there throw fish to each other and make a show of it. There are huge fish flyin’ by and occasionally an employee will throw one to a customer just to see if they can catch it. Typically they can’t, which makes for even more fun. What is not displayed is how they actual display and transport the fish – on flake ice. The reason for this is because the ice molds to the fish, which maximizes the freshness of the fish. Starting on the fishing vessels themselves, flake ice is used to store and transport the fish. Everyone has been to the market and seen wilted, lifeless produce at some point. This is usually due to poor temperature control.. When you see fresh, crisp produce, you can thank flake ice machines for that. After loading up a truck during harvest time, flake ice is poured over the produce for transportation and storage. It keeps the produce fresh better than other methods since it can get into the smaller nooks and crannies keeping the produce cool. It’s kind of like styrofoam packing peanuts, just smaller and a lot colder. Everyone’s been to a buffet at some point in time, whether it was a Furr’s cafeteria, Western Sizzlin’, or a Golden Corral. When you go up to the buffet there are bowls and bins placed in flake ice. This keeps food like salads cold and safe. For the staff, it makes it easy to move the ice and food around to make room for the bowls or bins when putting them deep into the ice making flake ice convenient and practical. In recent years there have been raw bars and sushi bars popping up in virtually every city and town. Raw bars are known for having oysters on the half shell and other foods like it, while sushi bars have, well, sushi. While you’re eating at one of these hip new foodie joints, take a look in the display cases and see what your food is actually laid out on. Well take the bet that it is flake ice. It must be that eating something that’s been lying over flake ice is the new cool. 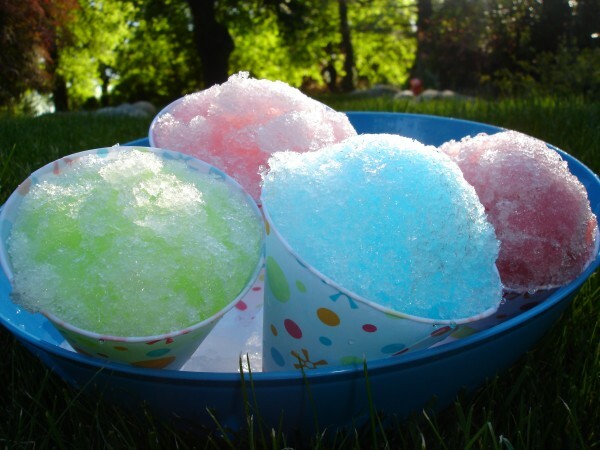 Who hasn’t been to the circus, zoo, or state fair and not had a snow cone? These tasty treats make young and old alike happy and come in a wide variety of flavor and colors. Flake ice provides the right consistency to make this confection a popular seller, especially on hot days. While the idea of fish on ice might not sound appealing, who can deny a tasty flake ice treat saturated with cherry or grape syrup? Not us! So the next time you’re cruising the produce aisle or biting into a cold, refreshing snow cone, remember the real hero is that flake ice machine that made it all possible.